To remove a linked standard from an item, just follow these steps! 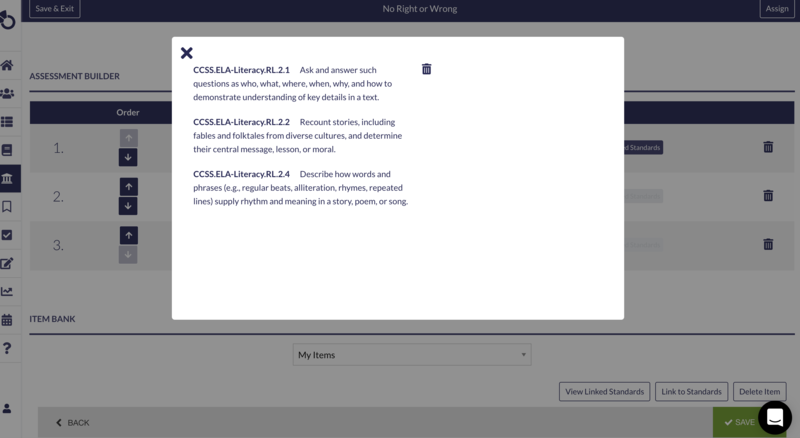 Access the assessment you are trying to edit in your drafts by selecting "EDIT." You will see a blue button that say "View Linked Sandards" next to items that have standards attached to them. Select this button. Hover the cursor to the right of the standard and a trash can will appear. Click the can to remove the standard. 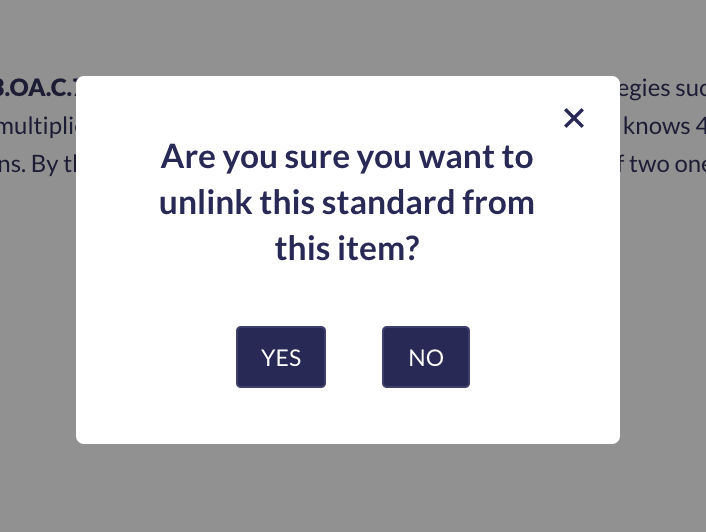 Select YES if you want to unlink the standard from this question. 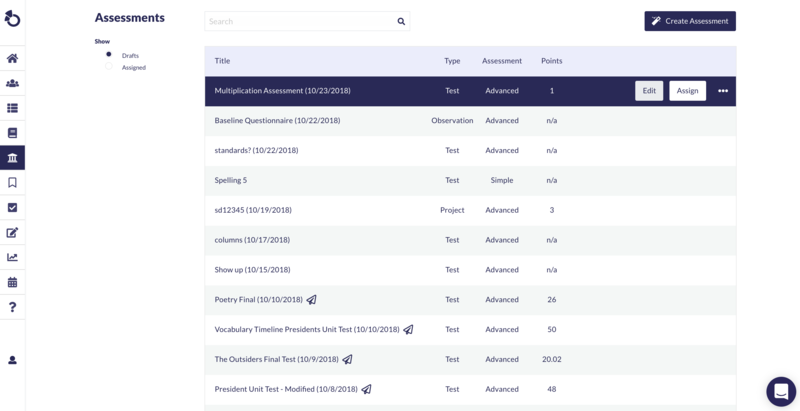 After selecting YES, you will be brought back to the assessment builder page. Here, you will see that the blue button is now greyed out, meaning there is no standard linked to this item!